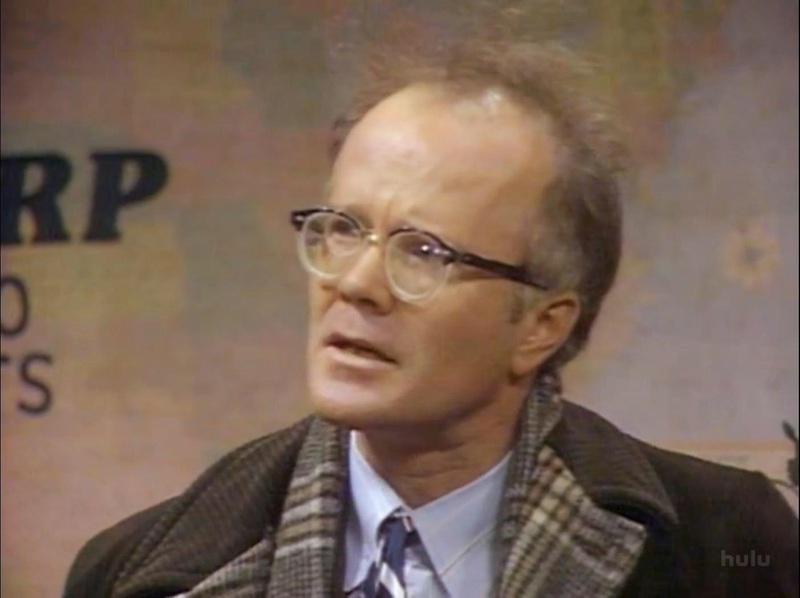 Richard Sanders (Les Nessman) may be an unsung comic genius. Everything he does in "WKRP In Cincinati" is friggin hilarious! Venus Flytrap: Les! Are you okay? Les Nessman: I don't know. A man and his two children tried to kill me. After the turkeys hit the pavement, the crowd kind of scattered but, some of them tried to attack *me*! I had to jam myself into a phone booth! Then Mr. Carlson had the helicopter land in the middle of the parking lot. I guess he thought he could save the day by turning the rest of the turkeys loose. It gets pretty strange after that. Venus Flytrap: [to Andy] *How* is it strange? Andy Travis: Yeah, right. Les, c'mon now, tell us the rest. Les Nessman: [freaked out] I really don't know how to describe it. It was like the turkeys mounted a counter-attack! It was almost as if they were... organized! Arthur 'Big Guy' Carlson: As God is my witness, I thought turkeys could fly!